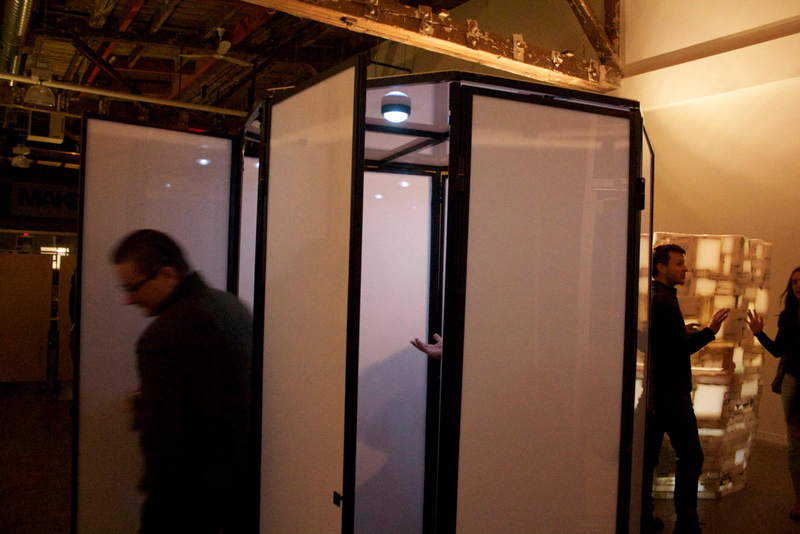 This octagonal chamber was exhibited in 2013 at Black and Yellow Gallery as part of a co-exhibition with Kuh Del'Rosario entitled "Reluctant Threshold Lover". 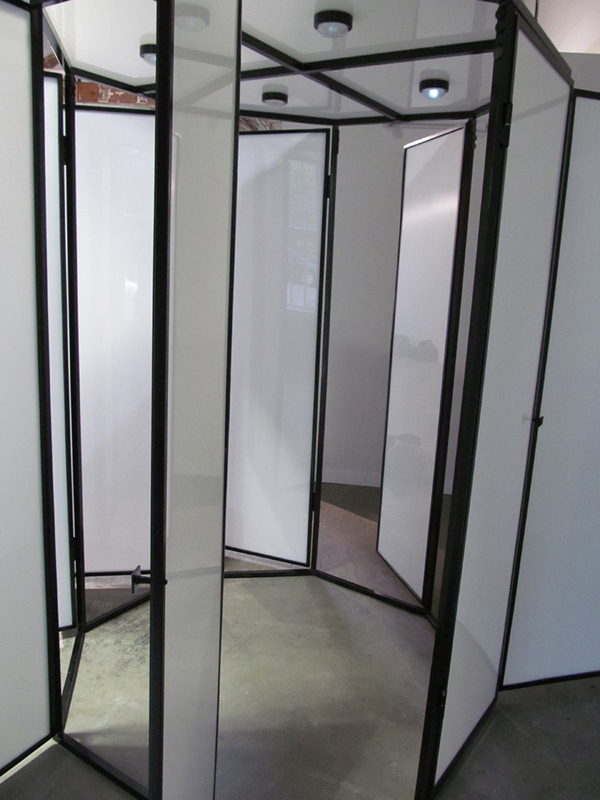 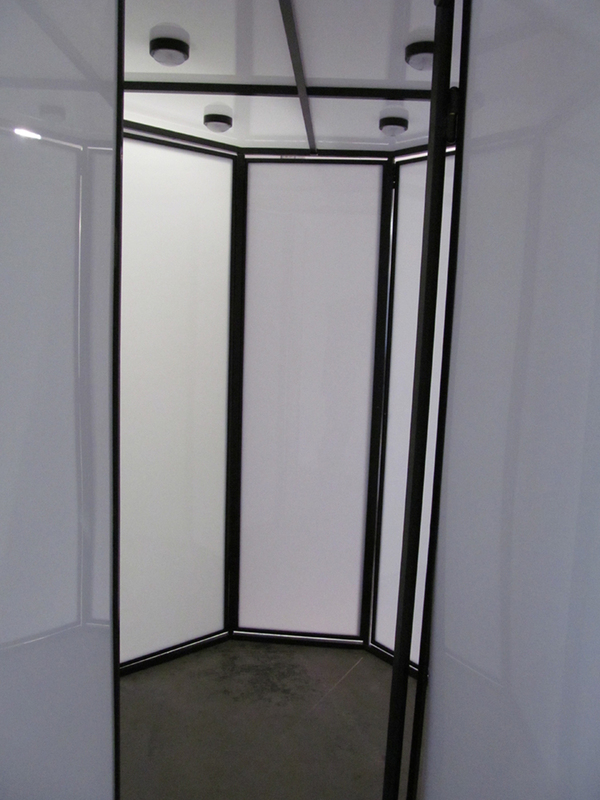 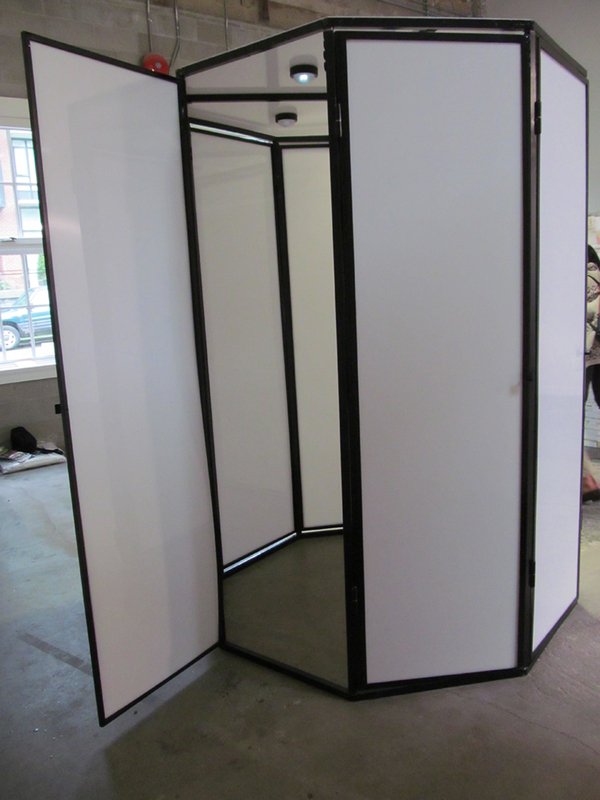 Fabricated and welded out of steel and fitted with plastic, this chamber features eight fully functioning doors. 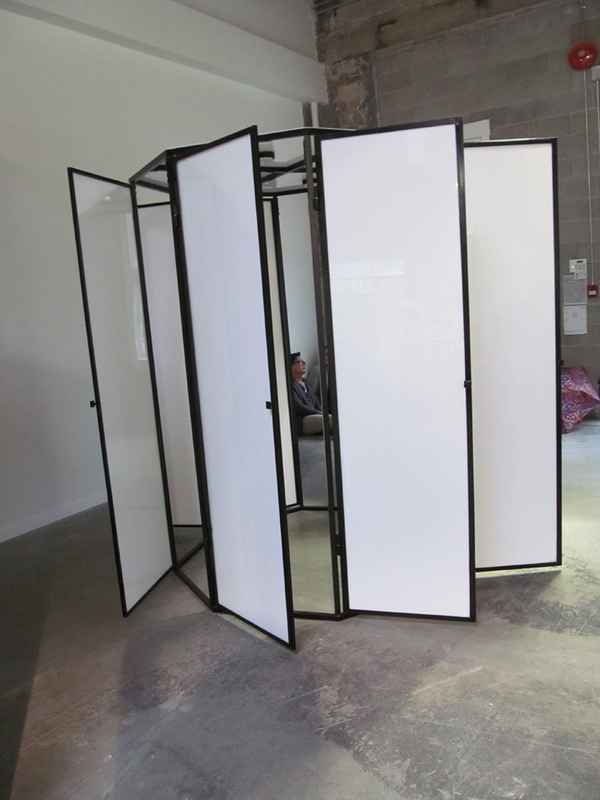 The intention with this piece is to break up space and facilitate a meditative experience by either moving in and out of the structure or remaining locked inside. 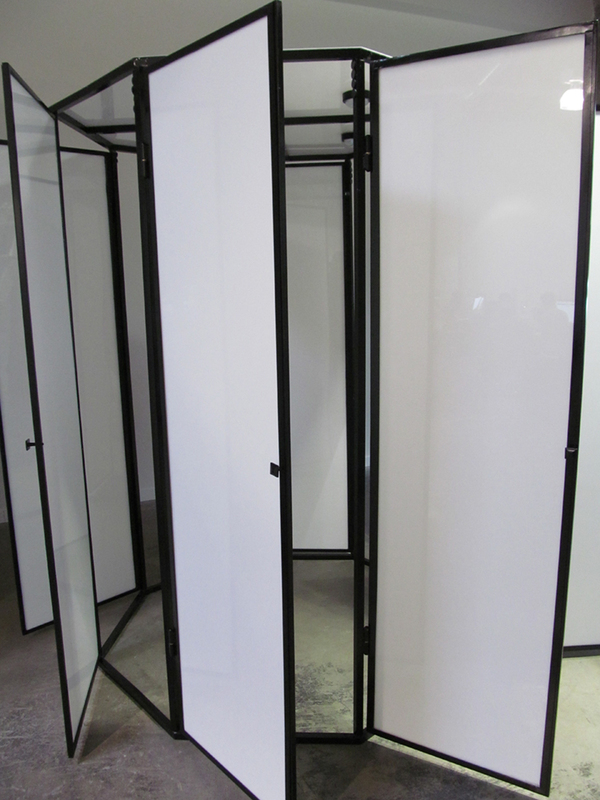 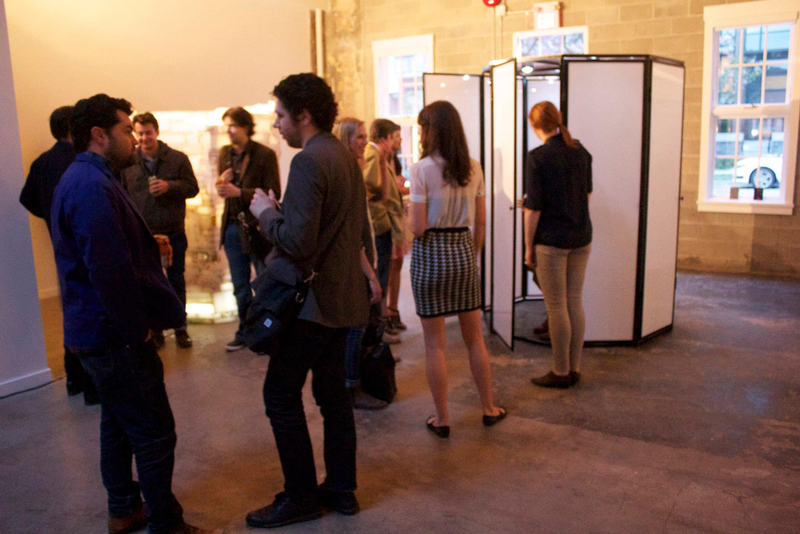 This work became a framing device for a later exhibition at Dynamo arts association.